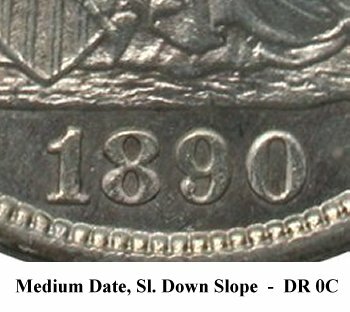 Comments: Both the Obverse 4 and Reverse E dies have eroded. 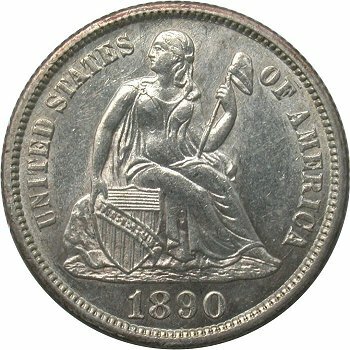 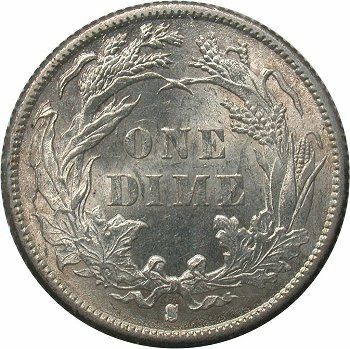 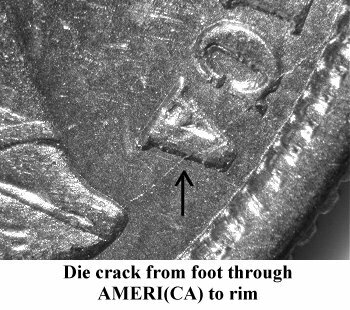 Obverse 4 has die cracks from the foot through AMERI(CA) to the rim and from the left base to the rim below (U)NITED. 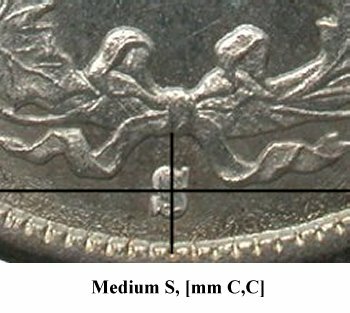 On the reverse, a major die crack has formed on the left side of the wreath along with signs of rust. 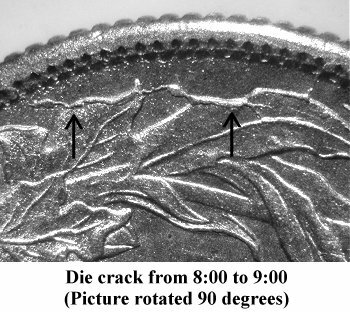 The die crack is significant and could potentially lead to a complete die break and internal die cud formation.